Recettear is one of those anomalies in gaming that just may be a start of a new trend or be a barely noticed blip on gaming history. Recettear, along with Rockin Android titles like Suguri and Gundemonium, is one of the very first officially distributed Japanese doujin games on a mainstream American digital service. 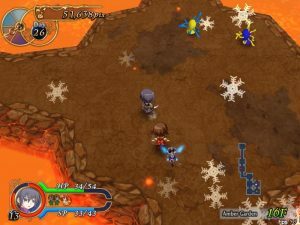 It was initially released in 2007 and developed by EasyGameStation, who started out with fairly simplistic (but fairly decent) games like Duo Princess and Gunners Heart, before graduating to the fairly in-depth action-RPG Chantelise. 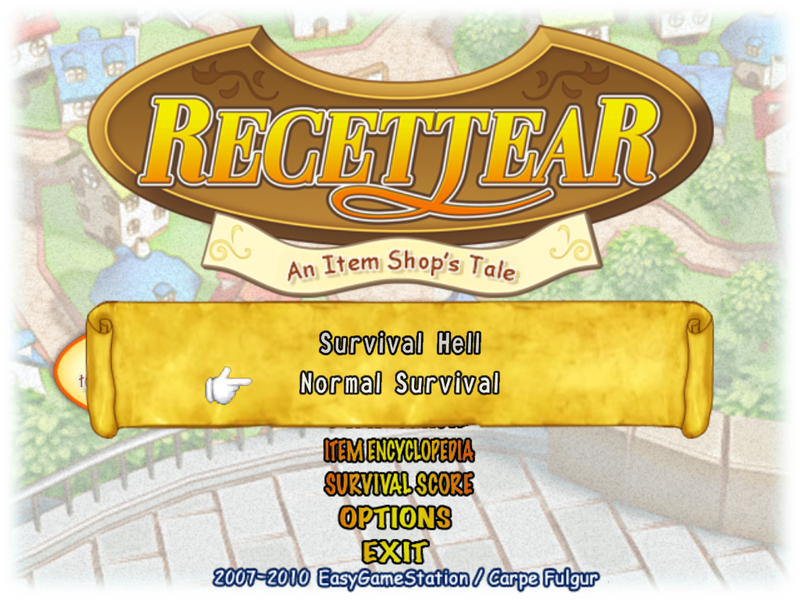 Recettear was localized and published by Carpe Fulgur, their first title. 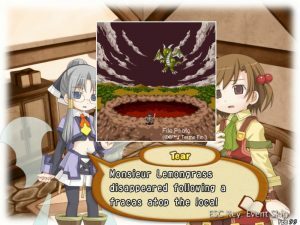 It is also the first doujin title to appear on Steam, with a reasonable asking price of $20, approximately what the game costs in Japan. Recettear in itself is a unique game consisting of two major parts: business management sim and dungeon crawling action RPG. 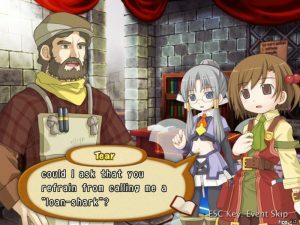 The first part, and by far the more unique of the two, is framed by a little girl, Recette, and her need to pay off a loan her father made as per a messenger elf named Tear, bastion of a finance company. 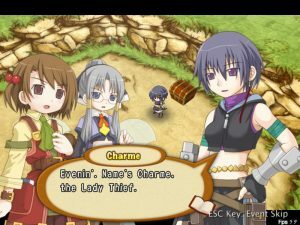 They team up to help her pay off the debt with the start of a new business, the portmanteau of the main characters’ names and thus the title of the game, in the form of an RPG item shop. This premise is immediately exciting to anyone who has ever wondered about how RPG worlds function when the hero isn’t there, especially considering that in most RPGs your team seems to be the only people in the world shopping at these places and buying highly contextual goods. Conceptually, it’s a little bit like Gust’s Atelier series (more like the earlier Annie titles, not so much the Iris titles more known to the English speaking public) although functionally it doesn’t quite work the same way. The main mechanics of the shop portions of the game center around the need to barter. The principles of any real-world business apply here: You need to buy stock and sell it at a higher price than you paid for it to make a profit. 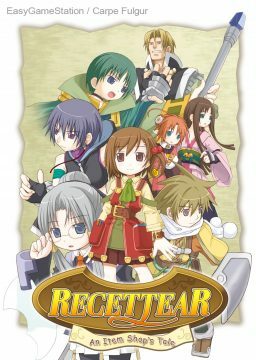 Recettear is by no means a modern shop with MSRP’s. Instead, you have to eye-up each potential customer and determine what they will pay for a given product. The rates at which each customer will pay for an item can be random at times, but these times are the exception. You will learn that the certain archetype of customer (i.e. little girl, old man, housewife, middle-aged man, and eventually specific characters) will usually pay up to a certain percentage price increase. The game follows some semblance of logic, so a little girl will not be able to pay as much as anyone else, nor will she buy a super expensive item at all if you offer it to her when she requests something. Generally, you get the feel for which kinds of shoppers will pay for what and what price you need to start the bidding at to get them lower. The game will give you conversational clues to tell you just how much you need to lower your prices depending on how the shopper reacts to your initial price. Some of your adventurers will be characteristically broke (namely your first major Guild member) and will only be able to afford your goods at near cost or sometimes below. 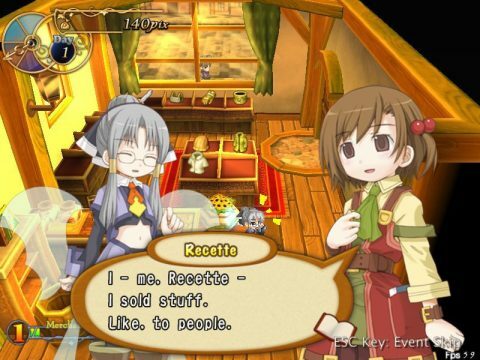 However, like any RPG where if you win battles you gain experience and levels, in Recettear you gain experience for every sale you close regardless of the profit (or lack thereof) you made. Your levels will then allow you to have longer haggling matches (valuable for those random customers who stray from their norm profit percentages) and eventually they will allow you to improve various aspects of the store. 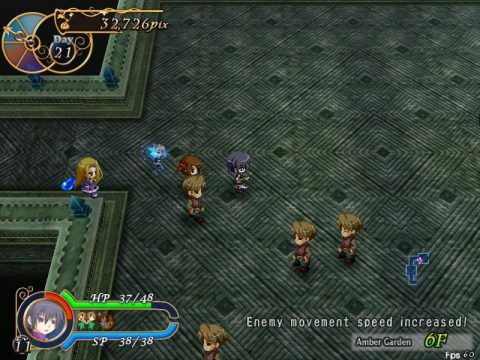 This part of the game, while fun at times, can become rather formulaic as RPG’s eventually do when you figure out the intricacies of their battle systems. The haggling becomes less of a challenge once you get the handle on what each archetype will tolerate. Thankfully, the game keeps itself fresh by incorporating more kinds of sales to make sure you don’t get too bored. 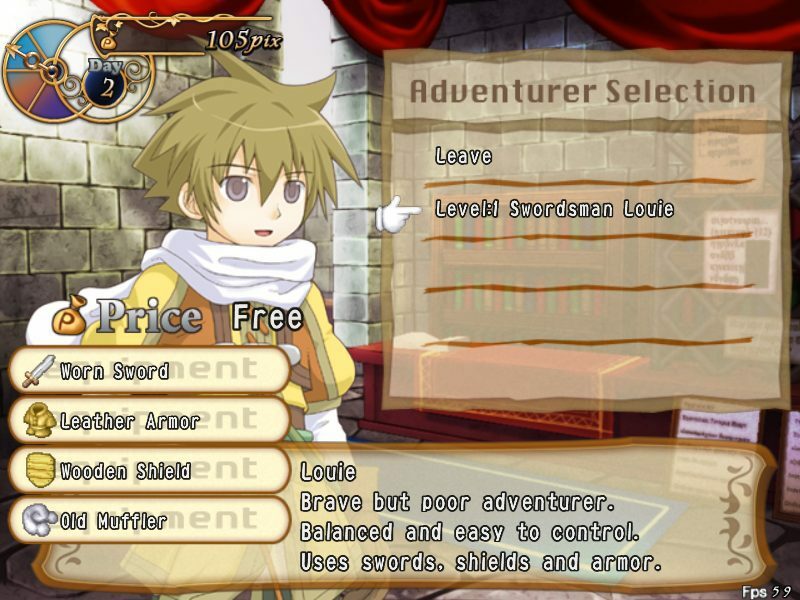 You will eventually see characters knowing that they want a kind of item and you will need to pick out a specific item that will suit their price brackets. Then, you will get special orders in advance that you will need to buy stock for when the customer returns. Then customers will also want to sell you their items and you will need to make them offers (many times at rock-bottom rates) to close the deal and acquire their items. These items will then be worth much more in profit than anything you could buy at the guild or marketplace. Unfortunately, these more “complex” sales end up being more of a variation on the same haggling you’ve been participating since the begging of the game. As a result the game can be a little boring during those times where you are simply selling to make a deadline. It would have been nice if they added one or two mechanics to work in conjunction with the haggling system to add both complexity and variation. 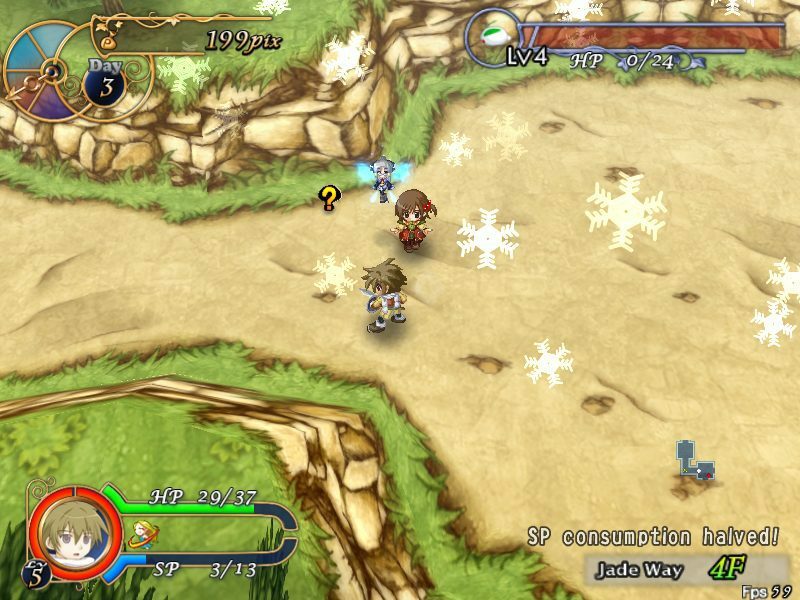 As it is, this part of the the game remains much like a simplistic early RPG: Much relies on grinding and less on strategy. While the actual selling mechanics are rather simplistic, the overall economy of the game is thankfully complex. Much like a real-world stock exchange, the prices of items fluctuate. Like any real business owner, you will need to capitalize on these price fluctuations. When market prices of certain items go up, you should try to sell as much of your remaining stock of that item as possible for the increased profit margin, while making a conscious decision not to buy more of those goods. When the market price of a given good goes down, refrain from selling your current stock, buy more of it on the cheap, and sell it later when the market price normalizes for a major profit. This emulation of the business world is the where most of the enjoyment of the game comes from, as making money is fun even if its in the fictional Pix form. And your business will grow. 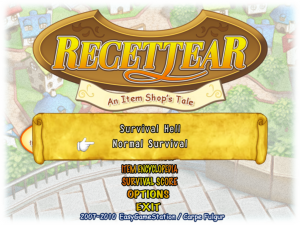 One of the most satisfying things about Recettear (and other games like Harvest Moon, FarmVille, and even Diner Dash) is that your operation starts out as a timid, unorganized corner shop to a well-decorated, oft-frequented, and (hopefully) well-stocked town staple. The other half of the game consists of hiring adventurers to go dungeon running. 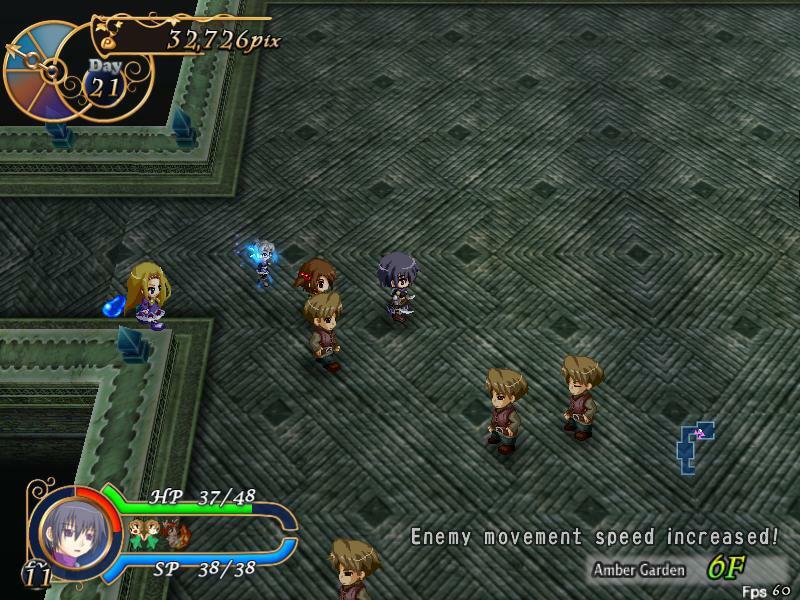 The developers took the action approach to vary the gameplay. When selling becomes dull, it may have been a great diversion. 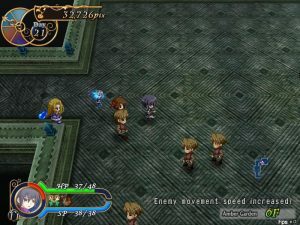 These action portions are much like a much simpler (and not nearly as much fun) version of the modern Ys games, except the dungeons are randomized and the controls aren’t nearly as versatile.This part can be fun at times (what’s better than some Ys, right?) but it is very difficult in the early stages of the game, because your adventurer’s starting equipment is essentially garbage. (At least a patch, released shortly after publications, fixed some of these issues.) For him to be able to defend and attack well he of course needs to have the right equipment. However, equipping the hero is not as simple as it seems. The only way to directly equip your character with the weapons, armor, and accessories they desperately need is to give it to them temporarily at the beginning of a dungeon run. The problem is that you have a limited number of inventory slots to bring back treasure, armor, and items to use with weapon crafting. For every piece of armor/weapon/accessory you replace from the adventurer’s default equipment, you take up one of these precious item slots. If you want these characters to use the good equipment by default, you have to wait for them to buy each item RANDOMLY from your store where someone may buy it first forcing you to turn down potential sales and experience for something that may happen eventually. 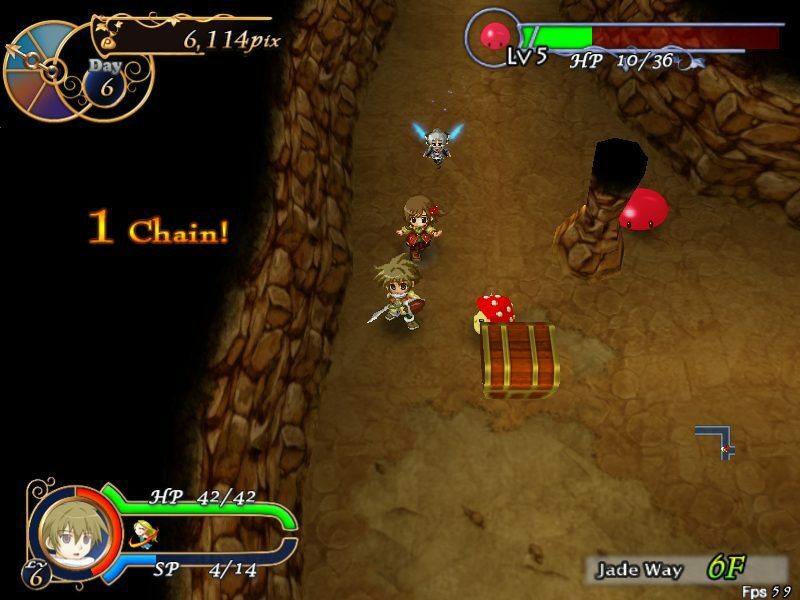 Furthermore, you need to use these item slots to bring health items that you WILL need due to the difficulty. The worst part, however, is that if you happen to die while on your adventure (which is VERY possible) you will lose all of the expensive equipment you just gave to them, all of your healing items, and any other treasure or items that you found in the dungeon except for one item. Keep in mind that your equipment and healing items are also part of your store’s stock, so if you lose your best equipment, you are also losing your best stock and all of the money you used to buy it, which could ruin your chances of making a deadline. Not to mention that an adventure takes half a day (2 sections of days that are broken up into 4 sections per day) PER ATTEMPT. So if you die, you will lose the time you could have used to sell and make the business successful. And even more frustratingly, item crafting needs entirely too many rare and specific enemy drops to be of any use whatsoever. At this point, I haven’t seen a reason why I cannot complete the game without totally skipping this portion of the game. The action portion is a good idea conceptually, to break up the other half of the game’s menu based gameplay, but the difficulty, lack of decent rewards, and equipment system make this portion hard to justify. At least a patch, issued shortly after the game’s released, toned down a few of the more rambunctious issues by rebalancing some enemy attributes. 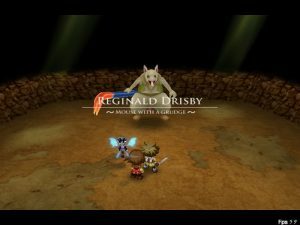 Given how difficult the game can be, both in and out of dungeons, the game thankfully has a Dead Rising-like system in place. Whenever you fail to pay one of the deadlines in the game, you will get a Game Over. However, you will restart the game in a sort of New Game+ state. Your progress in the game’s calendar and story will be reset and you will lose all of your money, but you will keep most everything else. If your adventurers happened to actually buy the equipment you wanted them to have, they will still have it and all of their experience and levels. Furthermore, once your re-complete the training dungeon, you will still have all of your progress in the later dungeons, which helps a great deal if you want to replay a series of floors for specific enemy drops without time working against you. You will also retain all of your stock and merchant experience and levels which is by far the most helpful feature of this system. 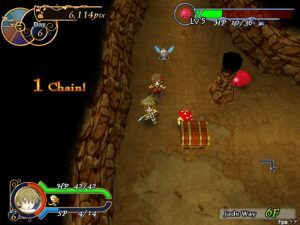 The beginning of the game, which is very difficult, the first wave will become incredibly easy with expensive stock that you would normally never have at the beginning of the game already in your possession. Depending on your last playthrough, you very well could have the funds well before each deadline is due, thus making future deadlines much easier to accomplish as you would be making money ahead of schedule. This continue system makes up for many of the flaws that can make the game a chore to play, though, you may wonder why not fix the systems in the first place? 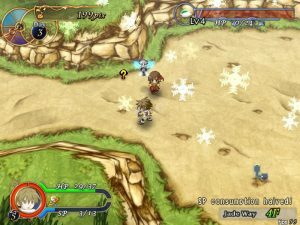 The setup is pretty clever, but the story loses a lot of its overall potential, as the game’s premise is a perfect opportunity for RPG in-jokes and meta-humor about how the RPG genre relates to real life. Few of these jokes are made, which is disappointing, but the game does have its own quirky sense of humor in its own right. For instance, one of the characters tries to sneak into the item shop in a box, only is box is a .jpg of an Amazon.com box surely taken off a Google image search. 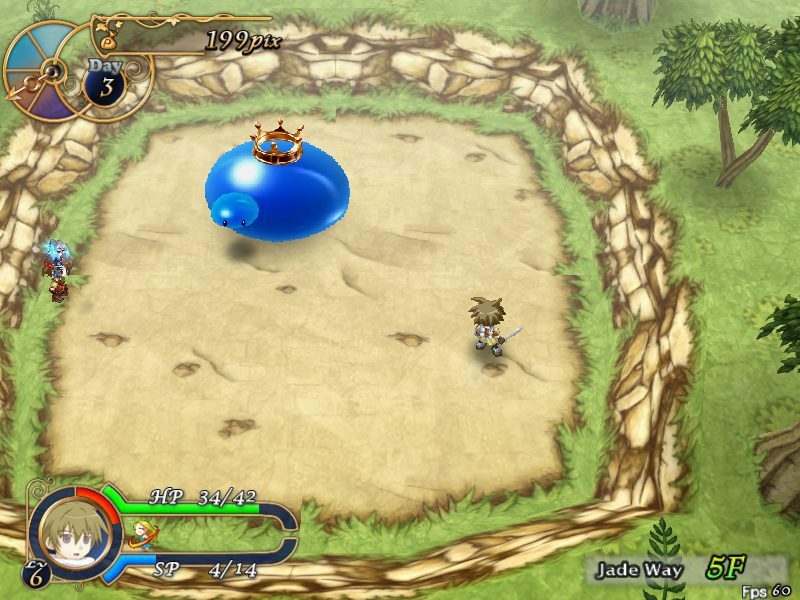 In addition, you even have some homage to other RPG franchises as the boss of the training dungeon is an obvious parody of a King Slime from the Dragon Quest series, complete with a crown that seems to also be a terribly cropped .jpg of an actual crown. The story as a whole is nothing to write home about, yet these crappy-for-the-hell-of-it gags really add some flavor to an otherwise bland dish. The presentation of the game is top-notch for a doujin game as much of the dialog is voiced. 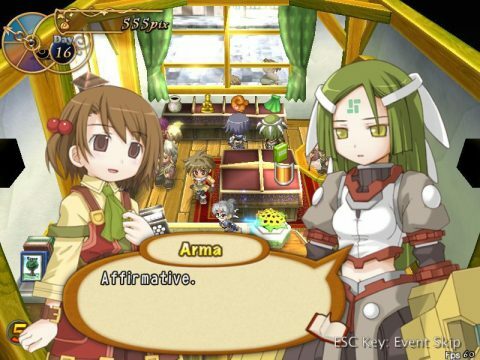 The art, while not a personal favorite style, is sure to keep the interest of people who like cute things. The character design is much in the style reminiscent Azumanga Daioh, especially the main character’s look, and is obviously done by the same people who worked on EasyGameStation’s previous games. Still, the art is nice, if a bit generic, and the music is very much the same. 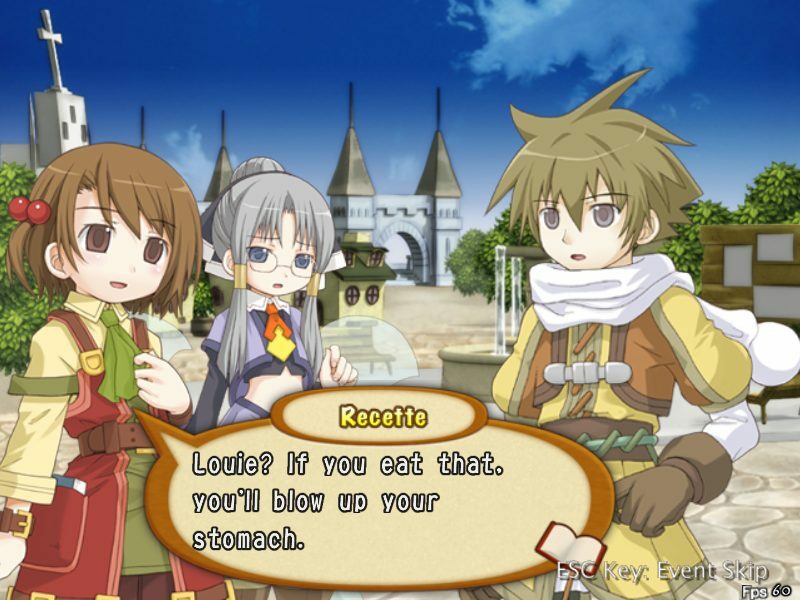 Overall, Recettear is impressively featured and has a great presentation for a doujin game. Most titles in this sector are short, have simplistic systems, and are light on presentation elements such as voice acting. 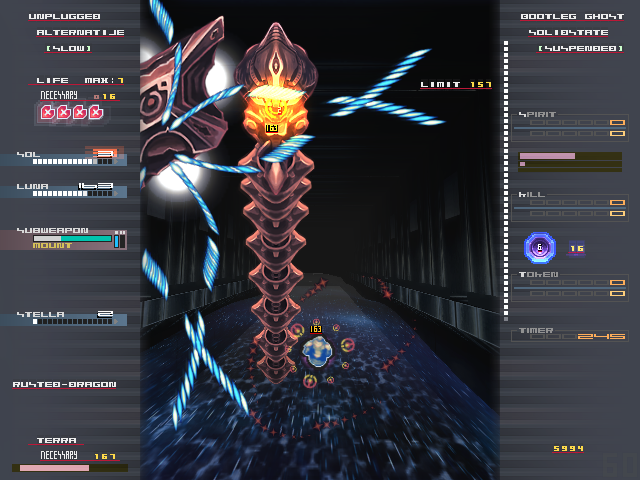 Very little do you see an indie game with two separate fleshed out game types. Unfortunately, the action part needs some refining to make it more accessible to the player. 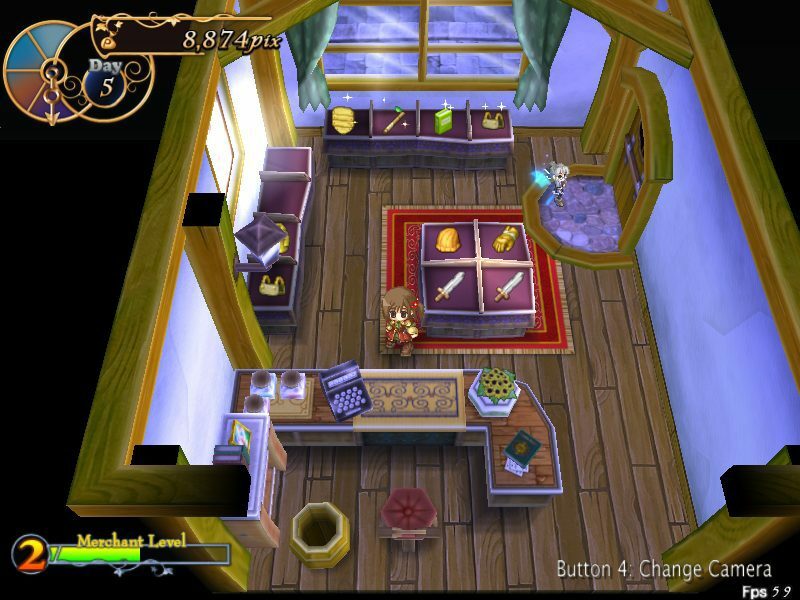 As it stands the store management part is good, though repetitive at times, and can be a very fun experience if you like business with an RPG flare. However, it’s probably worth your time and has the reasonable asking price with a few caveats, and hopefully will be joined by many more of its brethren in due time. Carpe Fulgur Official English website.